There are things I look forward to seeing every season. 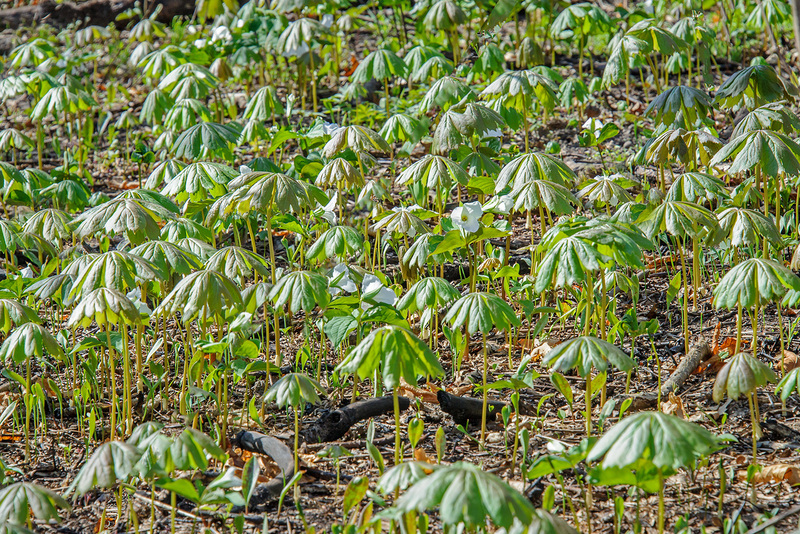 In spring, I watch for “mighty plants” that emerge from the ground with enough force to heave the soil above ground. These botanical weightlifters—the bulbs, grasses, and other emergent plants—pushing up soil that was compressed by a blanket of snow never fail to impress me. I am in awe of the strength of plants. Daffodil leaves erupted from the ground in March and lifted the mulch in the beds around the Regenstein Learning Campus. Seeing bulbs coming up all around me inspires lots of questions. I want to understand how this is possible and I want to test their strength. So I spent a few weeks playing around with this phenomenon in the Learning Center’s Boeing Nature Laboratory. 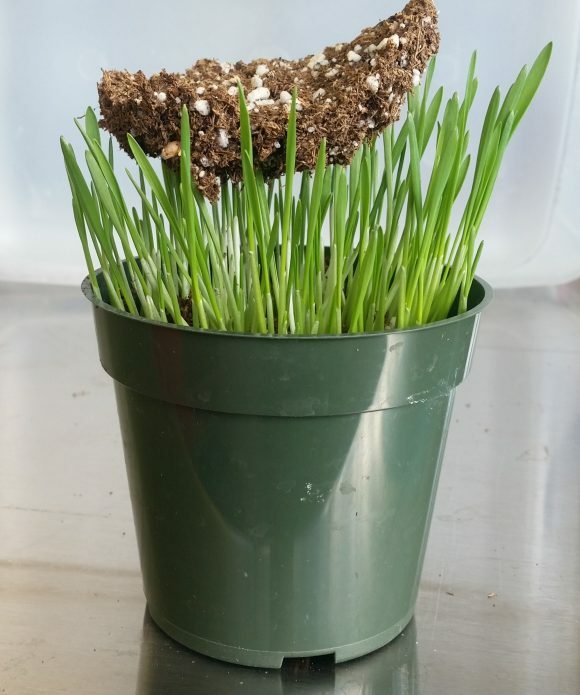 To begin, I wanted to demonstrate that seeds will lift soil in a pot. I soaked bunch of wheat seeds overnight and planted them in a pot. I covered them with a generous amount of potting soil (about a 1/2-inch layer) and I tamped the soil down gently so that it would be compressed—like the topsoil might be after a winter of snow cover. Three days later, I had results! 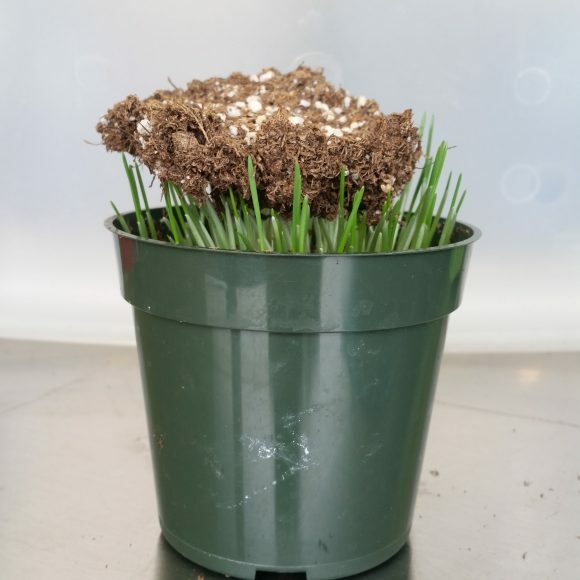 I sprayed the soil disk to give it a little adhesion, so I could see how long it would hold together as the grass lifted it up. 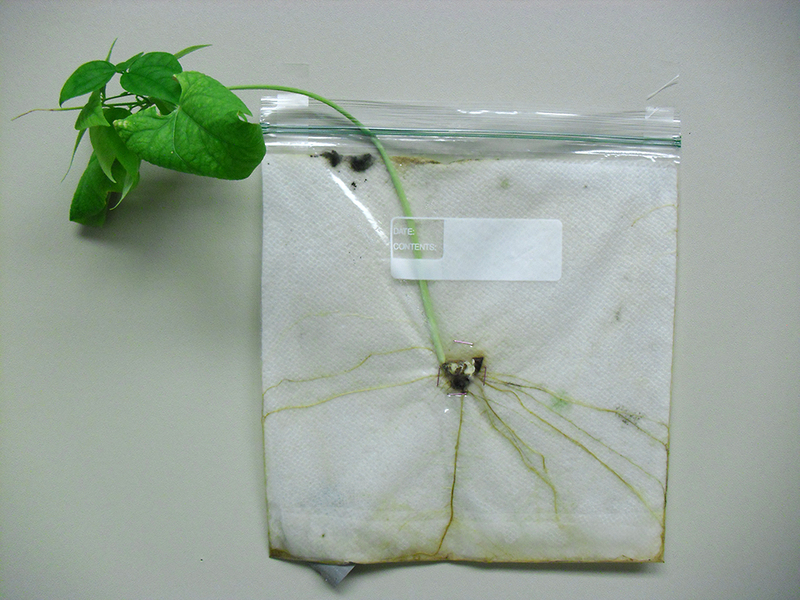 Day 3 after planting the seeds: They are pushing up the compressed layer of soil. Day 4: The leaves have pushed the soil up a little more. Day 5: The soil is light and there are a lot of wheat plants, so they continue to lift the soil. That was so much fun, I tried the same thing with a bunch of bean seeds. …and bursting from inside the pot. This demonstration was pretty easy and impressive. It is a simple activity to illustrate how plants and other living things change their environment to suit their needs (which is a disciplinary core idea in Next Generation Science Standards for kindergarten). I recommend doing it in the classroom or at home, just for fun. This is just the beginning. I will be sharing the results in a future blog post. But before I do, I would like to make a few points about the nature of science and how scientists work. Discoveries start when you watch nature and ask questions, as I did in watching spring bulbs come up. Before beginning an experiment, scientists play. They mess around with materials and concoct crazy ideas. They are constantly asking, “I wonder what will happen if I do ___ ?” That is when discoveries actually happen. Scientists do formal experiments with purpose, hypothesis, procedures, results, and conclusions after they think they have made a discovery. They use the experiment to test their discovery and provide convincing evidence to support it. In some cases, the experiment disproves a fact or idea, which is a different kind of new understanding about the world. I have to agree with Boyce Tankersley, the Garden’s director of Living Plant Documentation, who recently wrote “The SciFi Rant.” Those of us who lean toward botany instead of horticulture are more interested in growing plants to yield ideas rather than meals. In my continuing investigation, I have two goals, and neither is to produce anything to eat. First, I want to determine the strength of sprouting seeds and see how far I can push them. For example, how many bean sprouts will it take to lift a coconut? I want to find a standard way to measure seed strength. Second, I want to establish a reliable method for experimenting with seed strength so teachers and students can replicate the procedure, modify it as needed, and use it for their own investigations without going through the awkward phase of figuring out the best way to do this. I invite you on my journey. There is a standard litany of “Reduce, Reuse, Recycle” suggestions that almost everyone can tell you: recycle your garbage, turn the lights off when you leave a room, turn the water off while brushing your teeth, and so forth. We’ve been saying these same things for decades. And while they’re great ideas, they’re things we should all be doing. It’s time to give kids a chance to do something bigger. During Climate Week this year, I am offering a different suggestion: Watch dandelions grow and participate in Project BudBurst. These happy dandelions could contribute valuable information to the science of climate change. Project BudBurst is a citizen science program in which ordinary people (including kids 10 years old and up) contribute information about plant bloom times to a national database online. The extensive list of plants that kids can watch includes the common dandelion, which any 10-year-old can find and watch over time. Why is this an important action project? 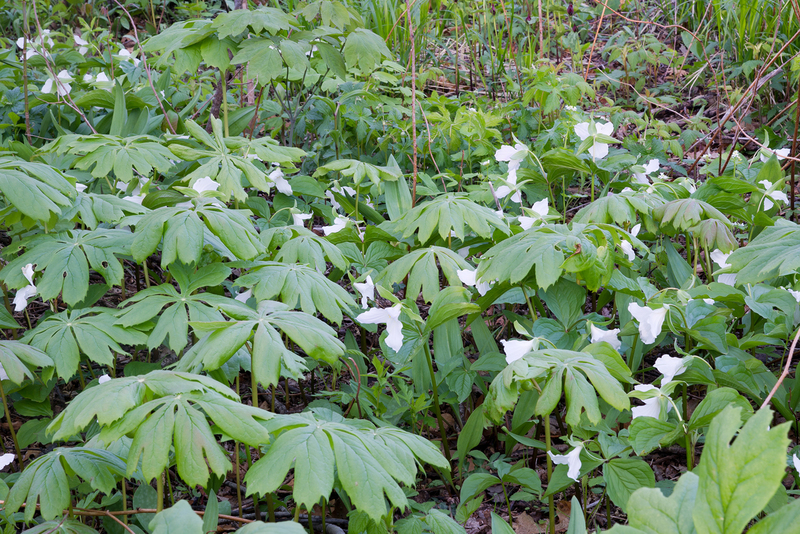 Scientists are monitoring plants as a way to detect and measure changes in the climate. Recording bloom times of dandelions and other plants over time across the country enables them to compare how plants are growing in different places at different times and in different years. These scientists can’t be everywhere watching every plant all the time, so your observations may be critical in helping them understand the effects of climate change on plants. 1. Open the Project Budburst website at budburst.org and register as a member. It’s free and easy. Click around the website and read the information that interests you. 2. Go to the “Observing Plants” tab and print a Wildflower Regular Report form. Use this form to gather and record information about your dandelion. 3. 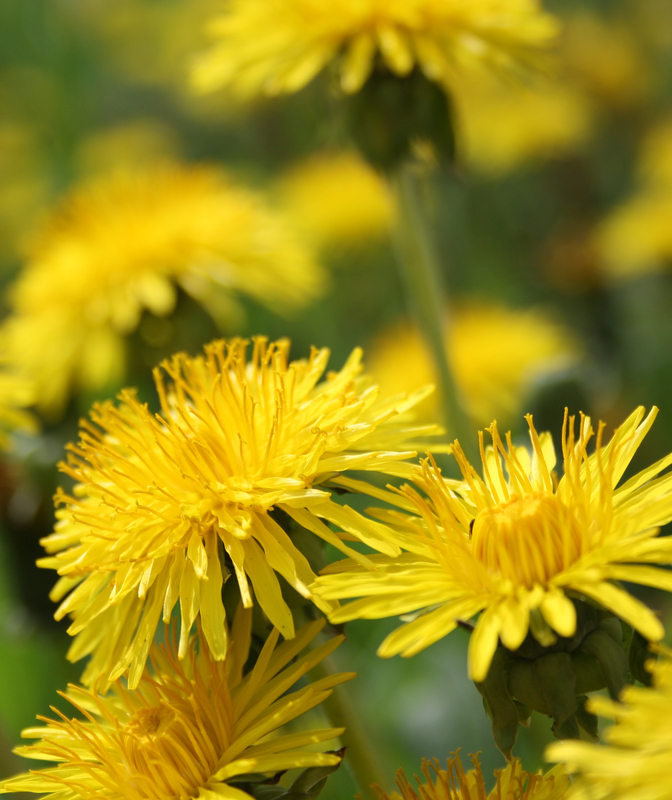 Find a dandelion in your neighborhood, preferably one growing in a protected area, not likely to be mowed down or treated with weed killers, because you will want to watch this plant all year. It’s also best if you can learn to recognize it without any flowers, and that you start with a plant that has not bloomed yet. 4. Fill in the Wildflower Regular Report with information about the dandelion and its habitat. Latitude and Longitude: Use a GPS device to find the exact location of your dandelion. (Smartphones have free apps that can do this. Ask an adult for help if you need it.) Record the letters, numbers, and symbols exactly as shown on the GPS device. This is important because it will enable the website database to put your plant on a national map. Answer the questions about the area around your plant. If you don’t understand a question, ask an adult to help you. The BudBurst Wildflower Regular Report is easy to use and will guide you through the process. After you find a dandelion you want to watch, record information about the location of the plant. 5. Now you’re ready to watch your dandelion. Visit it every day that you can. On the right side of the form, record information as you observe it. In the “First Flower” box, write the date you see the very first, fully open yellow flower on your dandelion. As the plant grows more flowers, record the date when it has three or more fully open flowers. Where it says “First Ripe Fruit,” it means the first time a fluffy, white ball of seeds is open. Resist the temptation to pick it and blow it. Remember, you are doing science for the planet now! For “Full Fruiting” record the date when there are three seedheads on this plant. It’s all right if the seeds have blown away. It may have new flowers at the same time. In the space at the bottom, you can write comments about things you notice. For example, you may see an insect on the flower, or notice how many days the puffball of seeds lasts. This is optional. Keep watching, and record the date that the plant looks like it is all finished for the year—no more flowers or puffballs, and the leaves look dead. When your plant has completed its life cycle, or it is covered in snow, log onto the BudBurst website and follow directions to add your information to the database. These students are observing a milkweed that is in the “First Ripe Fruit” stage. 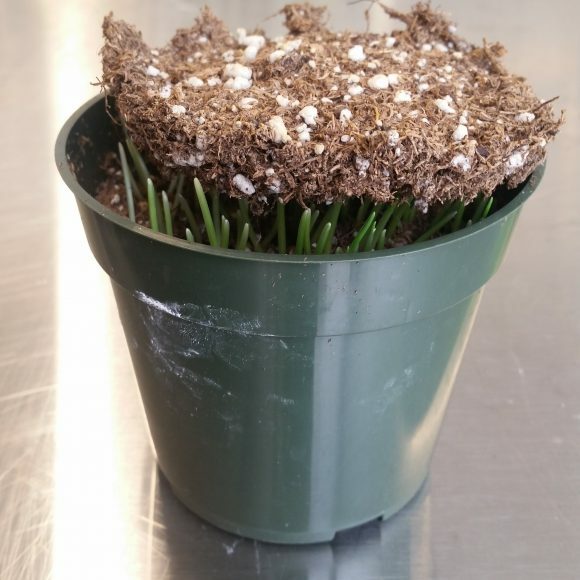 For the past two springs, educators at the Chicago Botanic Garden have taught the fifth graders at Highcrest Middle School in nearby Wilmette how to do Project BudBurst in their school’s Prairie Garden. The students are now watching spiderwort, red columbine, yellow coneflower, and other native plants grow at their school. Some of these prairie plants may be more difficult to identify, but they provide even more valuable information about climate. So while you are spending less time in the shower and you’re riding your bike instead of asking mom for a ride to your friend’s house, go watch some plants and help save the planet even more! Is spring as late as we think? For several years now, I’ve been working on a web-based citizen scientist project, called Project BudBurst, with colleagues at the National Ecological Observatory Network (NEON). We study the phenology — the timing of natural events like blooming, fruiting, and leaf fall — of plants around the country. Our participants track when plants bloom in their area, and we compare the reports to records from other parts of the country. You can help us collect data! Sign up to help at Project BudBurst. For instance, I’ve been tracking when the first forsythia flower opens on the plants near the Garden’s front gate since 2007. The earliest bloom I have on record in that time was last year, on March 15, 2012. The latest first flower for this specimen was this year, on April 20, 2013. In 2007 and 2008, however, we also had first flowers in mid-April (April 16, 2007, and April 17, 2008, respectively). So, as we look back in time, this year’s bloom time doesn’t feel quite so late. In the graph below we show the variation in flowering dates (using Julian dates, which standardize for differences in dates between nonleap and leap years). In the Chicago area, we have a wealth of phenology data collected by the authors of our local flora, Plants of the Chicago Region by Swink and Wilhelm (1994). While they were gathering data for their book, they recorded when they saw plants in bloom from the late 1950s to the early 1990s. They record the forsythia bloom period as April 25 to May 5. So, when we look still further back in time, our “late” spring is much earlier than it has been in the past. I took a similar look at several other species, both native and nonnative, for which we have both Project BudBurst data and data from Swink and Wilhelm’s book. About 70 percent of the species have earlier flowering dates in the last six years compared to those recorded by Swink and Wilhelm. Some of the species that have advanced their flowering dates are in the table below. Plant phenology, particularly when plants leaf out and bloom in the spring, is remarkably sensitive to the annual weather. Looking at phenological records over much longer periods of time can tell us a lot about how the climate is changing. Many scientists are comparing contemporary bloom times with historic bloom times recorded by naturalists like Aldo Leopold in the early 1900s, and Henry David Thoreau in the mid 1800s, as well as records kept by farmers, gardeners, and others interested in the natural world. Two of the longest phenological data sets are those maintained for cherry blossoms in Japan (dating back to 900 AD) and for grape harvest dates by winemakers in Switzerland (dating back to 1480 AD). Plants have so much to tell us, if we take the time to listen! Posted on May 15, 2013 January 3, 2014 Author Kay HavensCategories Plant Science & ConservationTags conservation, phenology, science, spring3 Comments on Is spring as late as we think? 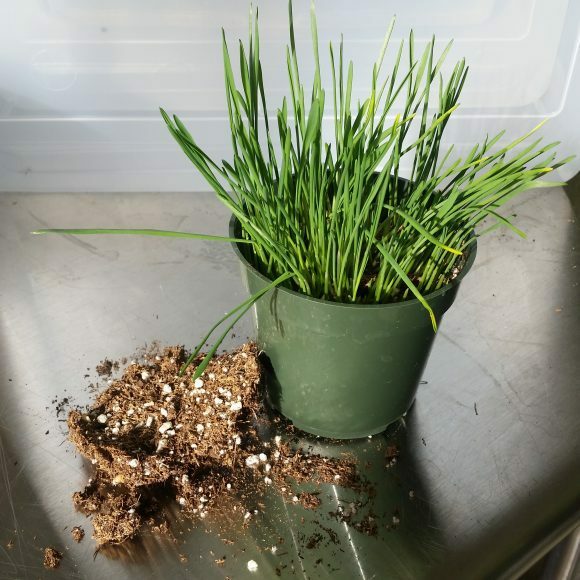 Blog followers will remember that in the first “How to Train Your Plant” post, we demonstrated how plants respond to the gravitational pull of the earth. Geotropism is difficult to overcome, but that didn’t stop me from trying to make a plant grow sideways through a maze. You can try this activity at home. You’ll need a shoe box, cardboard dividers, seeds, a pot with soil medium, and of course scissors and tape for constructing the maze. Stand the box on its side. Then cut two pieces of cardboard to fit in the box and make divisions. You’ll want these to fit as snugly as possible inside the box, but they don’t have to be perfect. The tape will fix that. Cut a large window in each divider. Cut a window on one end of the box. Tape the dividers in place as shown in the picture. Pardon the crude appearance of this maze. I wasn’t going for style points. Plant the seeds in the soil and put the container on the side opposite of the hole you cut. Just for fun, I used several different seeds from a bean soup mix to see if one kind would get through the maze better than the others. It was like a bean-seed “race.” You can try whatever you like. Make sure the holes in the divisions are big enough to allow lots of light in from the side, and don’t vary the height too much. Remember, we are fighting the plant’s tendency to grow up—if it’s too challenging, it won’t work. Trust me, I learned this the hard way. When the maze is complete, give your beans a last bit of water, and maybe a kiss, and then close the box. Apply tape along the top edge, to secure it and reduce light. Then put it next to a window and wait. It’s going to take a few weeks. Remember, horticulturists are very patient. Open the box every few days or so to be sure it has not dried out. Add a little water, but only enough to moisten the soil if it is very dry. When you see the bean plant emerging through the open window in the box, open it and take a look. 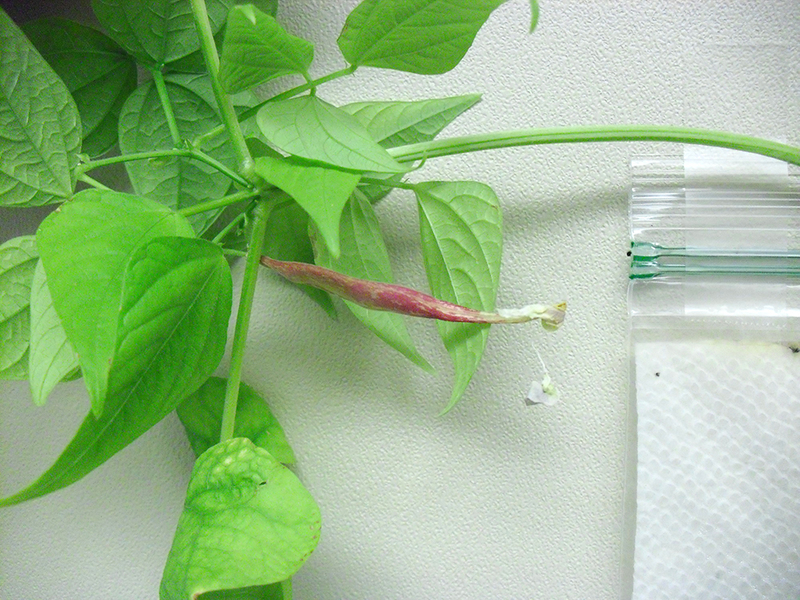 How long this will take will depend on the kind of beans you use, how far the plant has to grow, and how warm the room is. It took my beans about five weeks to grow through the second window. The beans were definitely torn between growing up and growing in the direction of the light. The winning sprouts, which I believe were lentils, did not actually make it through to the last window when I took this picture, and I’m not sure it has enough “umph” to do it. Still, notice how all of the plants leaned toward the light and most of them grew through the first window. That is a positive result! 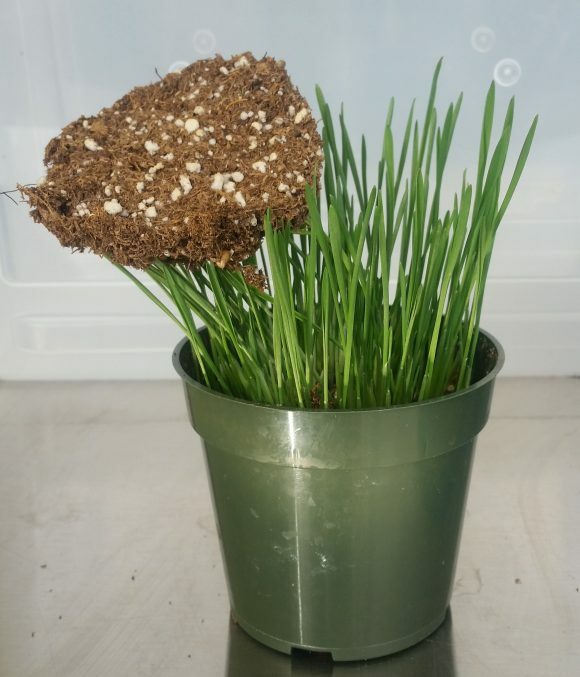 This activity demonstrates phototropism. Photo is the Latin word for “light,” and you will remember that a tropism refers to an organism’s response to stimulus, so that phototropism means plants grow toward the light. It makes sense for plants to reach for the light because they need light to make sugars, their source of energy. Normally, growing up against the pull of gravity is also growing toward the light. In this activity, we changed that condition, forcing the beans to deviate from their normal course to get the light they needed. The sprouts that grew the farthest and were closest to completing the maze had leggy stems that would not support growth upward to the last window. If I leave them a few more weeks, they could possibly grow along the bottom and then up the side of the box. I’ll have to wait and see.